There is a common notion prevailing in the market and human nature alike to make a grab for everything. Not only is this behaviour a sign of greed but it also leads to the making of a poor decision. Taking this in the context of baby monitors; one thing should be clear. You cannot get everything in a limited price; and now the other side. If you DO get it; you’re bound to find multiple flaws in it sooner or later. Why not get something from a reputed brand; you may have to sacrifice on features but at least you’ll have a peace of mind. Every baby monitor is different from the other in terms of audio, video, signal strength and various other features. You may select the one that suits your needs. 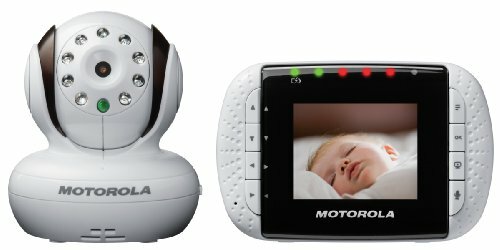 Following are some important things that must be considered while buying a baby monitor under $50. You can easily find an audio baby monitor in the below $50 range. Consider something such as the Philips Avent DECT which is from a reliable brand and performs it’s given functions superbly. Besides, audio is enough to alert a parent to go and check up on their child. Once you hear something, you can simply go and see what is wrong; you can also ascertain from the sound whether it is simply your baby turning over in his / her sleep in the cot or crying. Here is an advantage of getting a monitor from a reputed brand and sacrificing on bulking up features. You get good reception and range despite your device being within $50. 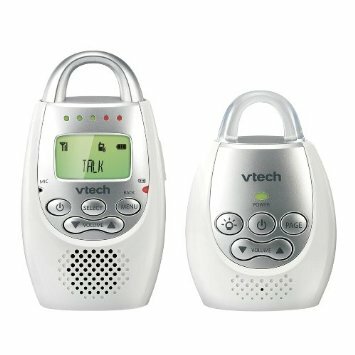 Range as in the VTech Communications Safe & Sound Digital Audio Monitor is important as you’ll be moving around the house with the monitor going along with you. You don’t want a break in the signals due to range issues. Also note that the stated range on products may not be exactly that. A little checking around or on the spot testing can be greatly helpful. If you really cannot let go of the video function then here is a way around it within your budget. Get a transmitter only unit (baby unit). Note that these will be needed to be plugged in to a power outlet in addition to being configured with your router and internet via Wi-Fi or an Ethernet cable. Of course the output will be on your smart phone, laptop, tablet, etc as there is no monitor unit (for parents). While you may feel being left out on the monitor unit; many parents actually prefer this way of getting only a transmitter and then pairing it with their devices. An advantage here is that it eliminates the need to carry around an extra device (the monitor) as the same function is performed by your smart phone now. Ensure that the monitor you buy won’t face interference with the other devices running in your home such as microwave, cell phones, etc. Also make sure that the monitor you are buying is running on digital such as the Graco Secure Coverage Digital Baby Monitor with 1 Parent Unit or Wi-Fi transmission rather than analog which has a lot of issues and was a thing of the past back when digital technology didn’t exist. Buy from a reputed brand so that you get warranty on your purchase. 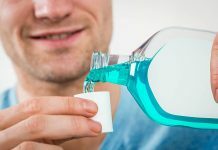 Not that you’ll have to claim it but since you are already on a budget; you don’t want your amount to go to waste because of a cheap purchase. Many manufacturers offer limited and comprehensive warranties; you need to ensure your provider is covering you for the major parts in the monitor such as the transmitter, LCD screen, etc. A good brand covers all of the features mentioned above. Your peace of mind and the baby’s safe monitoring is the priority. The budget is just a limitation, not a priority. Enough said. All in all, you’ll find that the budget limitation didn’t cause you to actually ‘miss out’ on any as such features. What you need is a way for you to be alerted when your baby needs you. $50 is more than enough to purchase such a device which fulfils this requirement.